The Pope is allowed to name secret cardinals or cardinals in pectore (Latin for “in the breast”), since only the Pope knows in his heart. During the reign of Pope Martin V, cardinals were created without publishing their names until later, termed creati et reservati in pectore. 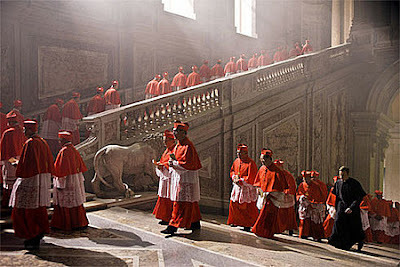 Nevertheless, these were officially cardinals from the moment of their secret appointment. This entails that there are and could be cardinals out there who do not even know that they are cardinals! However, in pectore cardinals can only function as cardinals when their appointment is made public. The practice is used today in order to protect hierarchs from hostile situations or tyrants (as is the case in China). When political conditions change, the Pope then makes the appointment public. The secret cardinal would then rank in precedence with those raised to the cardinalate at the time of his secret in pectore appointment. However, if a pope dies before revealing a secret in pectore cardinal, the cardinalate expires. Ignatius Kung Pin-Mei, Bishop of Shanghai, People’s Republic of China – made cardinal 1979, revealed 1991, died 2000. Marian Jaworski, Archbishop of Lviv, Ukraine – made cardinal 1998, revealed 2001. Jānis Pujāts, Archbishop of Riga, Latvia – made cardinal 1998, revealed 2001. The fourth cardinal was created in 2003, but was never revealed. This would mean that this cardinal’s tenure expired at the death of the Holy Father.